Supply chain management and freight forwarding services provider DAMCO, part of A.P. Moller – Maersk, has announced the appointment of Ashutosh Dixit as CEO for India, Bangladesh and Sri Lanka (IBS) effective from June 15, 2018. A seasoned executive with over two decades of experience in Supply Chain, Ashutosh will lead the next phase of growth for Damco across IBS with a key focus on offering innovative and seamless solutions to customers shipping from and to the IBS markets. 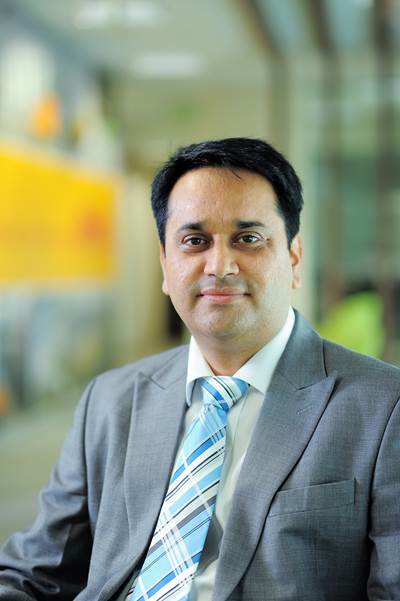 Ashutosh comes to Damco from DHL Global Forwarding where he held different leadership positions across functions. Prior to that, he also spent close to a decade with the TATA Group in Strategic Planning team. He holds a Bachelors in Technology from IIT-Dhanbad and a Diploma in Information Technology from IIT-Kharagpur, along with a Management Degree from XLRI Jamshedpur.